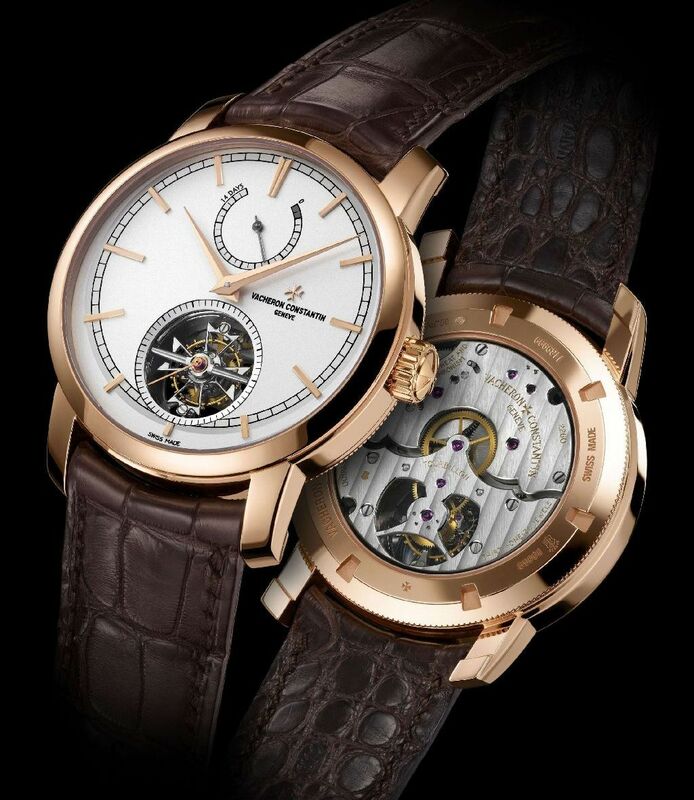 The new Patrimony Traditionnelle 14-day Tourbillon is the first Vacheron Constantin watch to be approved according to the new Hallmark of Geneva criteria. This exceptional horological complication features a classic round case(5N pink gold 42.00 mm), an impressive 14-day power reserve and is powered by the new Calibre 2260 developed and crafted by Vacheron Constantin. The new Vacheron Constantin Calibre 2260 boasts an impressive 14-day power reserve, thanks to the integration of four barrels mounted in coupled pairs. They are all connected and all unwind simultaneously, but naturally four times slower than a single barrel. The four barrel-springs amount to a total length of around 2.20 metres and each enables approximately 13 development rotations, all in a calibre whose diameter is of only 12 ¾ lignes (29.10mm)! Other than the practical aspect of this power reserve, these barrels guarantee a longer stability in time. For improved servicing, the movement is equipped with a click allowing a fast release of the accumulated energy in the 4 barrels simultaneously. In addition to the tourbillon combined with small seconds at 6 o’clock, Vacheron Constantin Calibre 2260 also drives the slightly off-centred hour and minute functions, as well as the power-reserve indicator. A dragging counter-hand displays the energy balance on a 280° segment. This area, larger than for the usual indicators, allows a precise division of the 14 days, themselves subdivided in two sections of 12 hours, for an improved readability of the power reserve. The 12 o’clock positioning of the latter indicator on a silver-toned opaline dial, as well as the external minute circle, are inspired by several pocket-watches stemming from the rich heritage of Vacheron Constantin. The new Patrimony Traditionnelle 14-day Tourbillon faithfully reflects the design codes that have forged the reputation of this line imbued with a sense of purism and rigorously high standards. A slender bezel, a case middle with a fluted base, a screw-down case-back fitted with a sapphire crystal, facetted hour-markers (double at 12 o’clock), 5N pink gold dauphine hands and an historically inspired opaline silver-toned dial adorned with a variety of finishes. 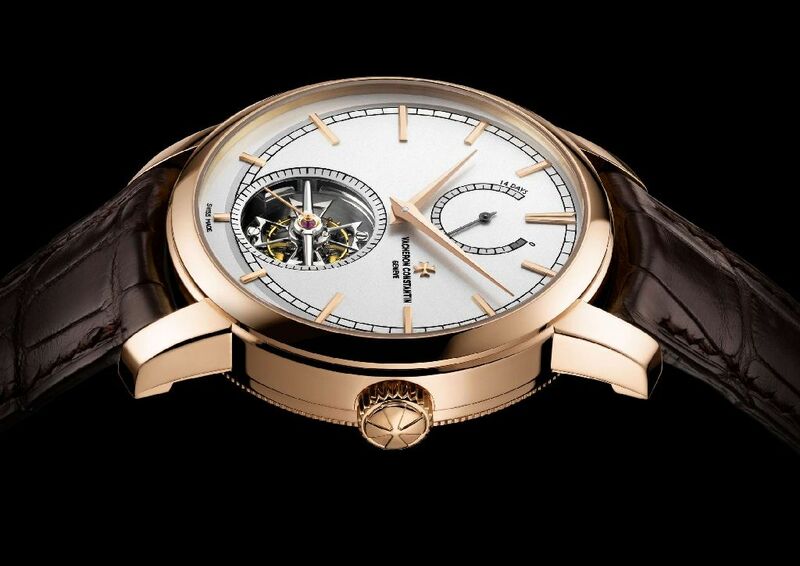 The Patrimony Traditionnelle 14-day Tourbillon is the first Vacheron Constantin watch to be officially approved according to the new Hallmark of Geneva criteria. 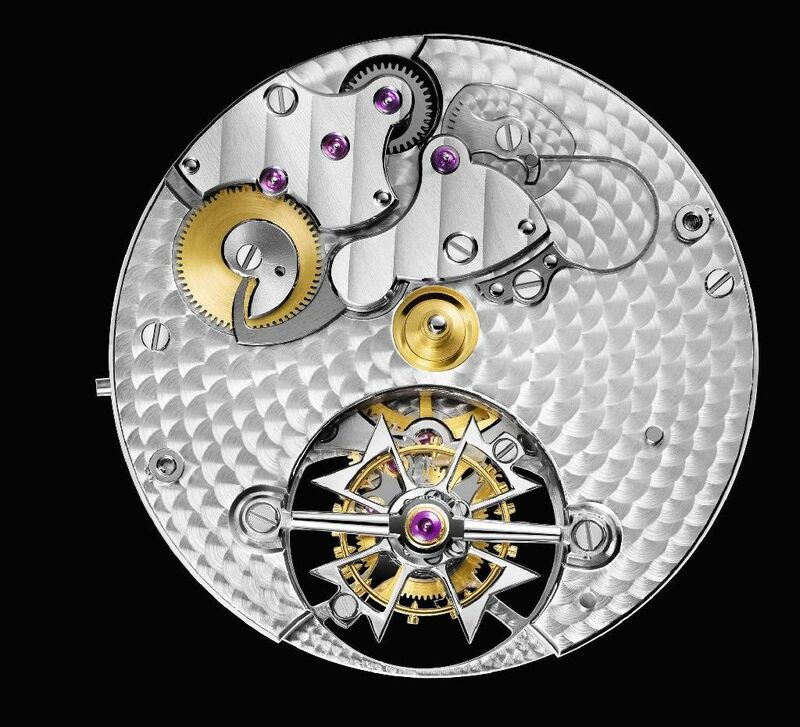 Instated by the Grand Council of the Republic and Canton of Geneva in 1886, the Poinçon de Genève is a guarantee of origin, quality of craftsmanship, durability, and expertise. Now celebrating its 125th anniversary, the Hallmark of Geneva is undergoing a major transformation, particularly in order to take account of the evolution in the techniques and materials used in the watch industry. As of 2012, the certification no longer concerns the movement alone, but instead the watch as a whole. Component production, as well as verification of the entire set of operations leading to the finished watch is now the object of a systematic and more demanding monitoring procedure conducted by independent State-sworn agents. The testing of the completed watch is now an integral part of the requirements of the quality label. All the technical characteristics, for example the water resistance or power reserve are duly crosschecked and periodically tested by the Hallmark of Geneva authorities. Finally, the precision of the watch as proven by a wear simulation test becomes an essential element in awarding the label. The Hallmark of Geneva authorities conduct precision measurements for a full seven days to ensure that the variation in rate does not exceed one minute per week. All these elements testify the high quality of the timepieces whilst guaranteeing the independence of this certification.